/ The Imitator 2018-2019 Season! Just wanted to let each of you know I had a couple of great shows recently, one in Mississippi and one in Ft Worth (Texas Trophy Hunters Extravaganza) and had 100's of great comments on the Imitator. People saying they've never seen anything like it (yep because there isn't) and "I gotta get one or two before the season", etc. I have a portable tank now I set up at the shows so people can actually see it working. There is a limited number of units to sell this year and I can't reorder until I sell out and then it takes about 8-10 weeks turn around time to get the motors and bags shipped here (yep, slow boat from China is for real). So my point is if you were thinking about getting another one, you may want to do it sooner rather than later. Once they are gone, that's probably it for this year, unless they sell out really early allowing me time to reorder the parts and get them here before too deep into duck season. I know it's hard to think about spending a couple hundred bucks for duck season when it's still 95 degrees and dry as a bone but just thought I would let ya'll know. 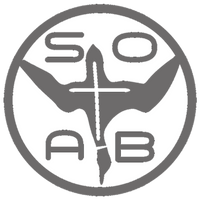 If you haven't seen it yet we have a Brand New website, SOAB Hunting Company, and check out the new video below on how easy & quick the Imitator setup is! Click here to purchase another Imitator! Remember Buy 2 save $20 off with code IMITATOR2 or Buy 3 save $60 with code IMITATOR3. Please share with your friends and family! Good luck this duck season and send me any video, photo or testimony you would like to share!!! See how easy & quick the Imitator setup is!